Journey with us to Peru – a country filled with striking landscapes, ancient monuments, and rich history. On our 4 day/3 night Machu Picchu Getaway package you will sample some of the highlights of this beautiful country. Visit world-renowned destinations, with a deeper understanding of the history and culture thanks to expert local guides and insider experiences. Visit Machu Picchu, the Sacred Valley, and Cusco! Check out some of the world’s most iconic sites with our Machu Picchu Getaway package. The trip takes you from the most beautiful city in South America, Cusco, to the majestic Inca citadel of Machu Picchu. We hope this expedition helps inspire your trip to Peru, and please remember that we can further customize any aspect of this itinerary to your specific interests or travel style. Contact us and book your Machu Picchu Getaway today! Day 1: Fly to Cusco, and enjoy an afternoon city tour of the most beautiful city in South America. Day 2: Explore the sweeping landscapes of the Sacred Valley as you visit the charming town and artisanal market of Pisac, and walk through the ancient fortress of Ollantaytambo. Day 3: Take a train to Machu Picchu for a tour of the UNESCO World Heritage Site that has been astonishing explorers and travelers for years. Day 4: Depart Cusco, or for a supplemental price Good Life Expeditions can arrange additional activities in the area. Contact us to book the Machu Picchu Getaway Package now! On this Machu Picchu Getaway package, you will visit Machu Picchu, the Sacred Valley, and other incredible highlights of Peru! Starting in Cusco, you will wander through the cobblestone streets of the most beautiful city in South America. On a half-day city tour, you will visit the historical landmarks of the city center including the main plaza, Plaza de Armas, the Spanish colonial Santo Domingo Cathedral, and the Incan temple of Qoricancha. You will also visit the archaeological sites surrounding the city. Then enjoy the sweeping Andean landscapes of the Sacred Valley of the Incas – an area characterized by its fertile terrain, rich history, and colorful culture. On this full day tour, you will first have a chance to explore the charming town and artisanal market of Pisac. Then head to the ancient fortress of Ollantaytambo ruins where you can take a short but steep hike to the terraces and learn about the genius of Incan architecture as well as take pictures of the valley below. The following day, begin your journey to Machu Picchu with a train ride through the Sacred Valley. Upon arrival to the base of the mountain, take a winding bus ride to the famed Inca fortress for a half day tour. Your expert guide will lead you through Machu Picchu, a UNESCO World Heritage Site that has been astonishing explorers and travelers for years. Learn about the Incas who built the site, as you visit the temples, terraces and all the best spots for photos. 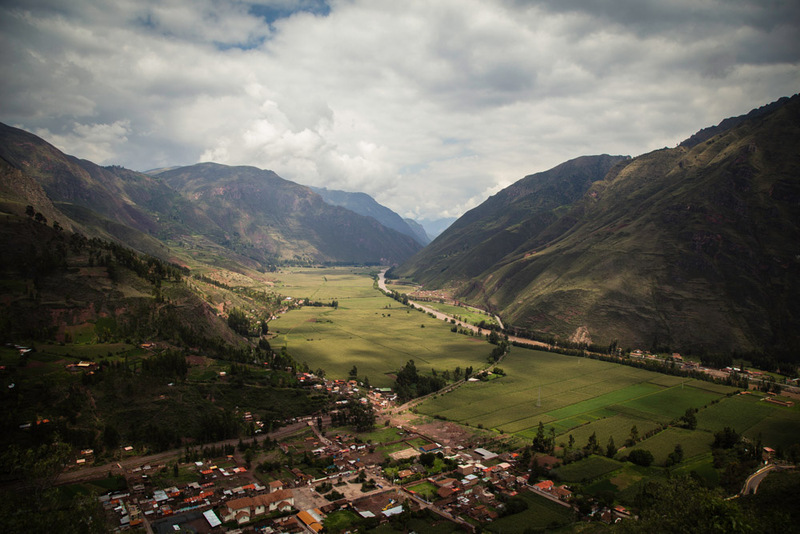 After a thorough exploration of the ruins, return via train to the Sacred Valley. Machu Picchu day hikes are available upon request and subject to availability. On your last day, you will depart Cusco, or for a supplemental price, we can arrange additional activities in the area such as adventure sports on high altitude lakes, cultural tours to weaving villages, hikes to little-visited ruins, and more. Contact us for details!